By now our save the dates have reached all our guests (I hope) so I thought I'd share it with my blogging family too! I designed them myself and had them made into magnets on Vistaprint. Not always the most user friendly website (mom ended up with 140 American flag return address labels by mistake) but they are affordable and the turn around is quick! 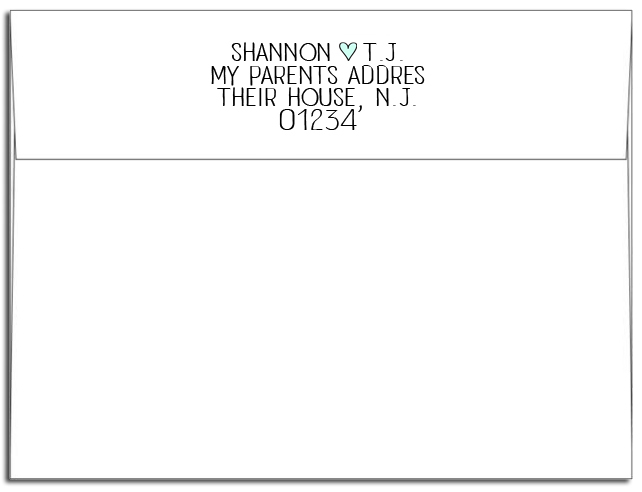 Plus they let you upload your own designs and personalize the envelopes as well. They turned out great and my mom and I had a fun time addressing them all over the 4th of July weekend. I also ordered extra envelopes by mistake which ended up being a good thing since we are both kind of OCD when it comes to penmanship. I love walking by our fridge now and staring at our magnet! My stomach does a little flip every time I see it. And I don't think I'll ever get sick of that picture! I am now starting to work on figuring out our formal invitations and the other papery pieces needed, like programs and menus and place cards. 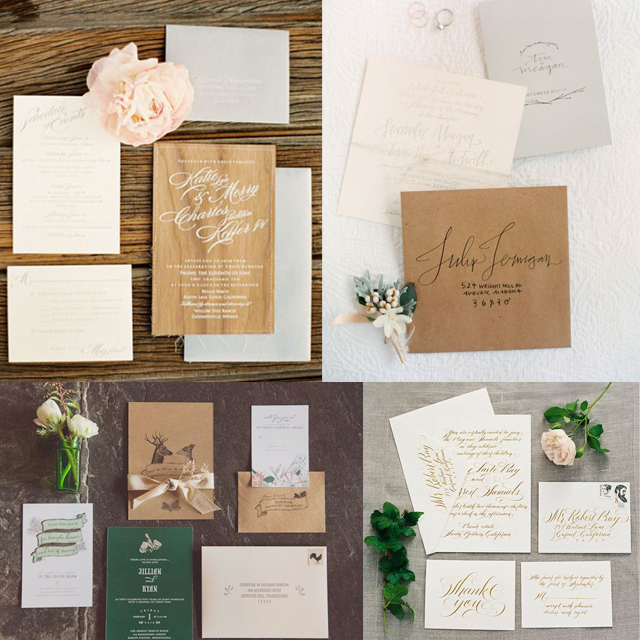 I love good paper and I think quality invitations can really set the tone for our wedding and give our guests a feel for the big day. I'm going back and forth between having them custom made, or designing everything myself. I want something simple, but with a little whimsy thrown in. I like mismatched papers with different colors and textures, dreamy calligraphy, and gold foil. Here are a few of my favorite pins at the moment. Just lovely!! There is something going on down here that I hadn't seen before. The wedding invitations come in a box. Kind of impressive, but also expensive. I don't see any in your pins, and haven't look on Pinterest. Is this something you have seen? Thanks Terri! I actually have seen that once before- a girl did custom wooden boxes with their wedding logo engraved in them. I can't imagine the cost but they sure were lovely! Those are beautiful! We have really similar taste too - I love gold foil and beautiful calligraphy. Love the picture you picked! Laughed about your Mom getting address labels! Haven't seen your Mom in awhile. I know she is busy with your wedding. I am excited for you and her!!! 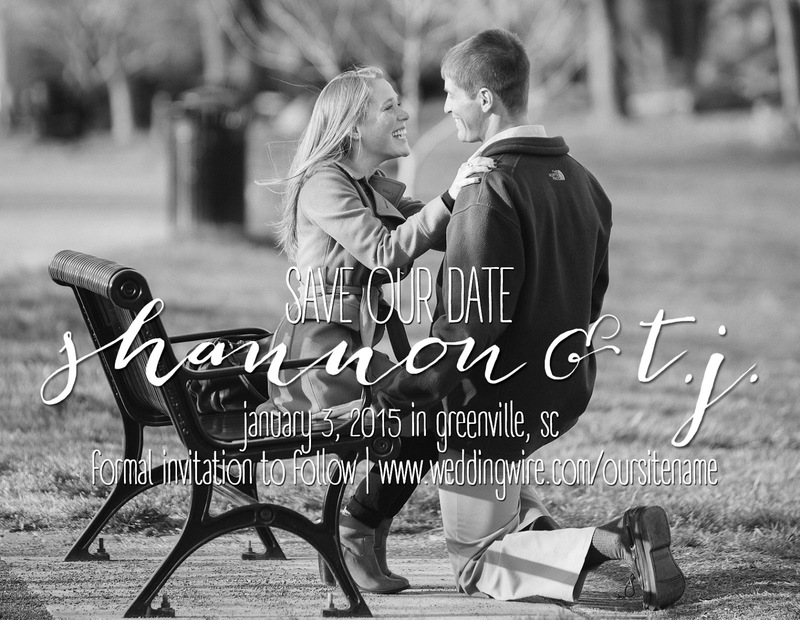 Love the "save the date" card and looks like some great choices for the invitations. What fun! Kimberly-let's do lunch! We're overdue!